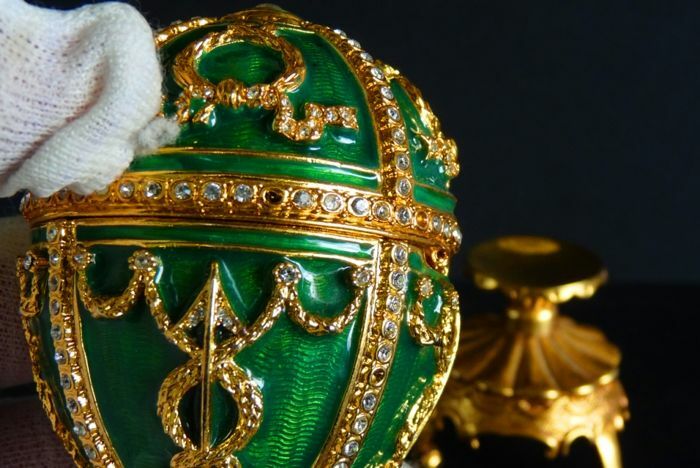 Stan zły - przedmiot mocno używany, z poważnymi pęknięciami, uszkodzeniami lub brakiem głównych elementów. 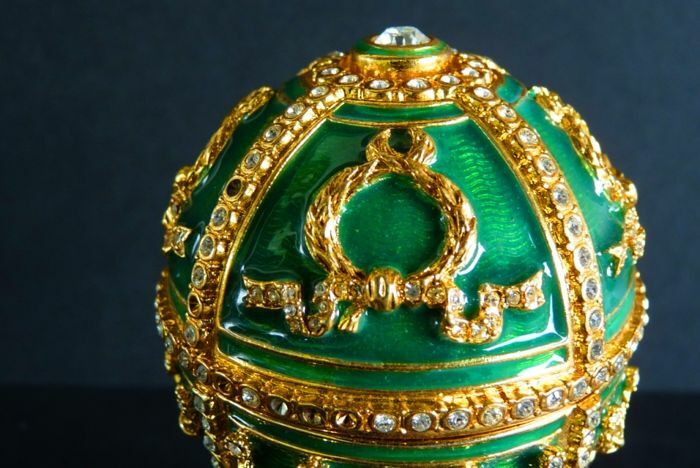 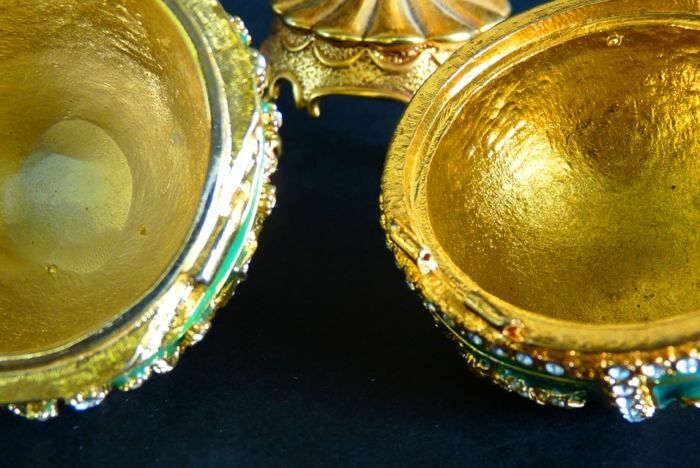 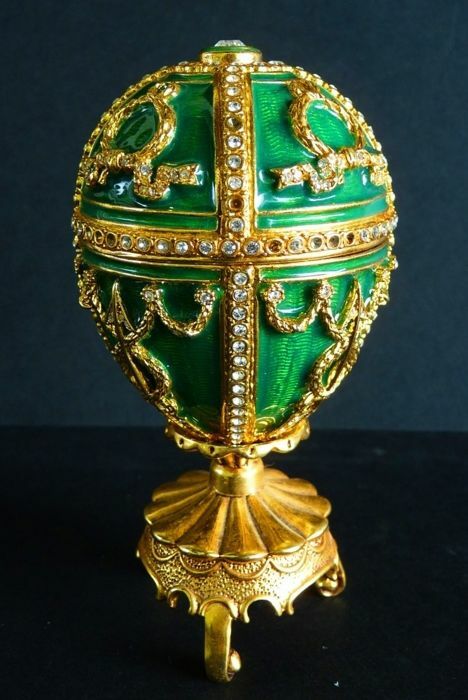 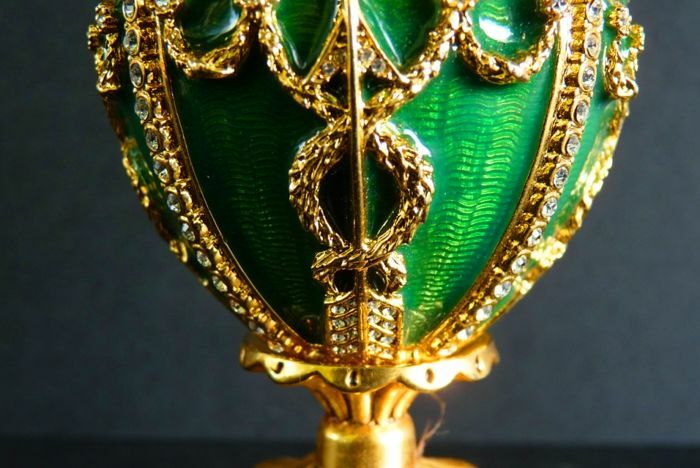 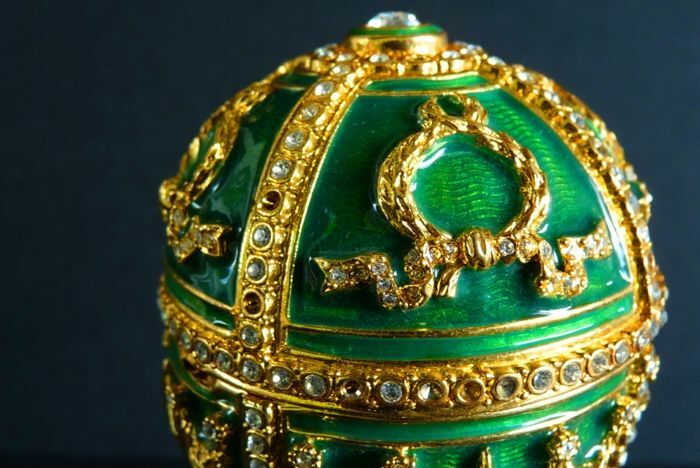 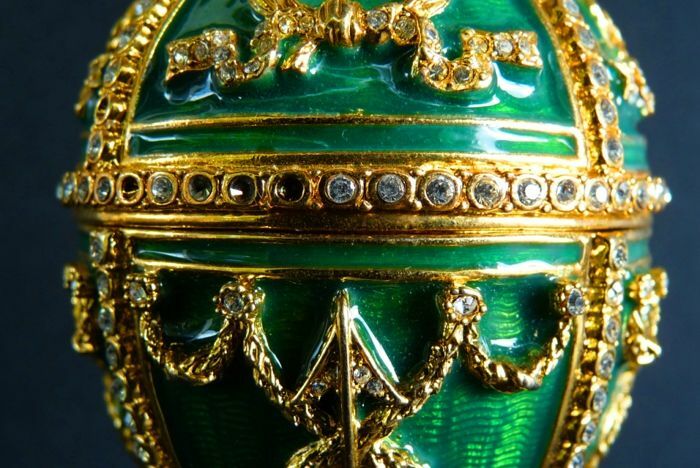 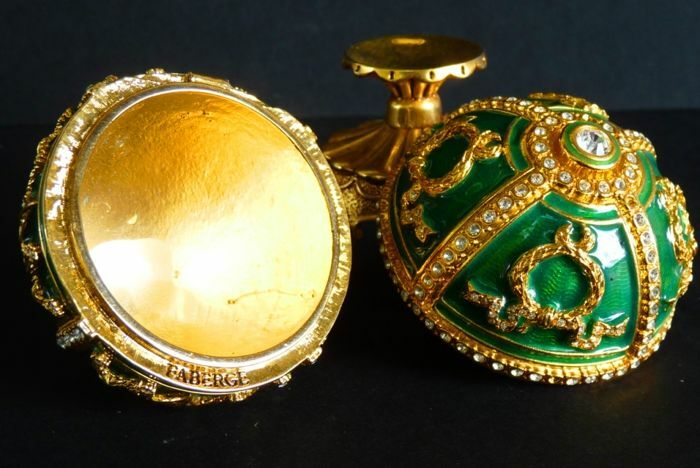 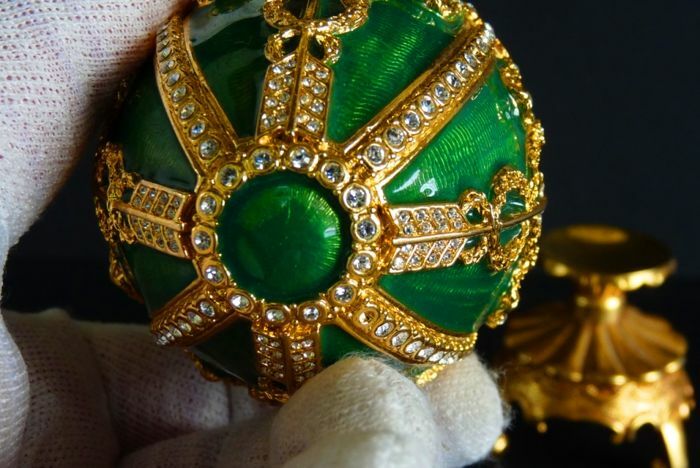 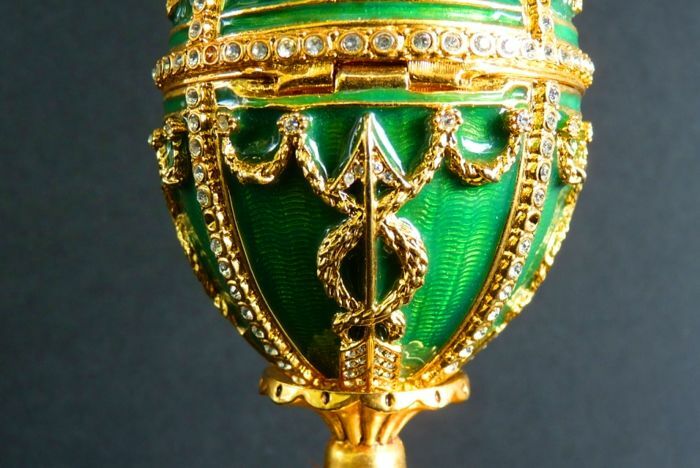 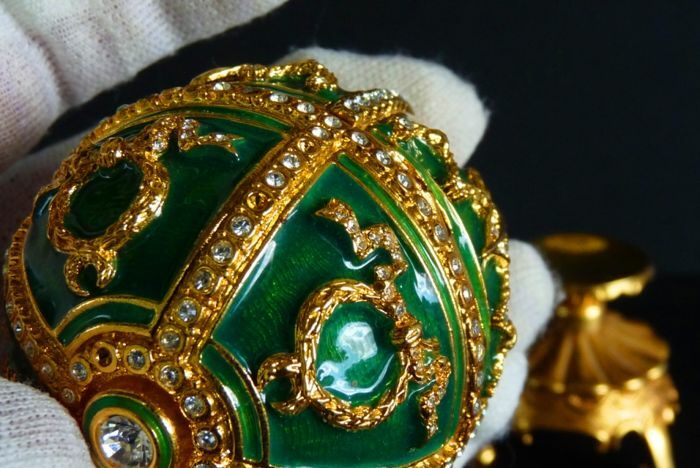 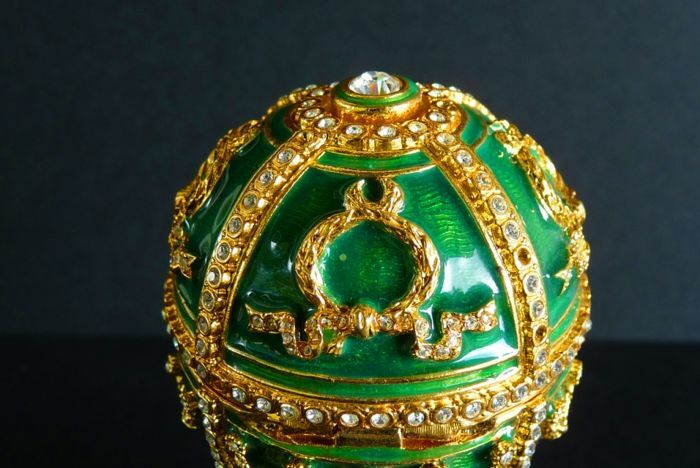 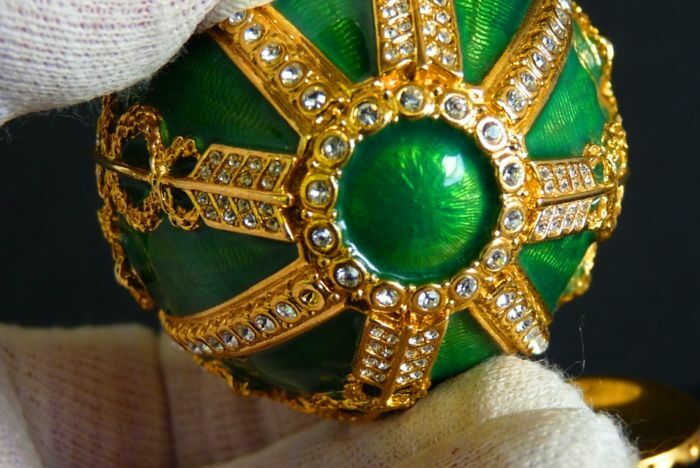 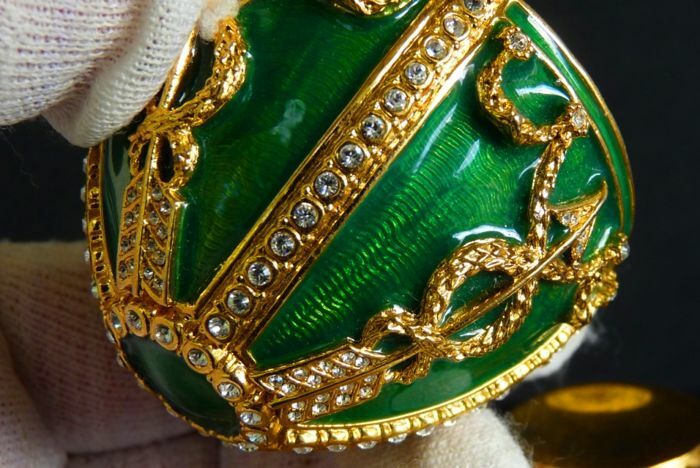 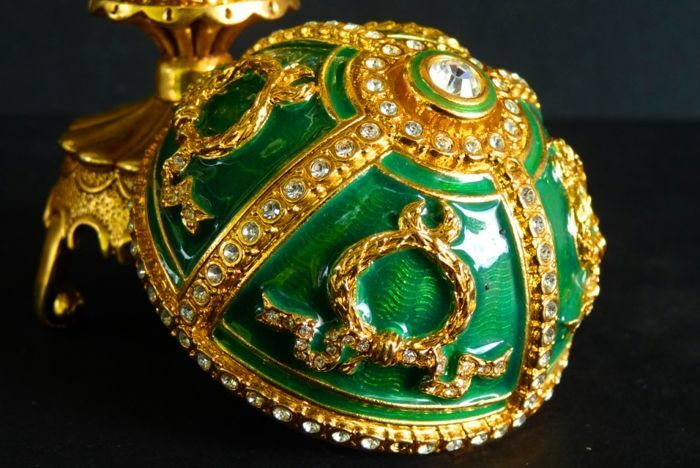 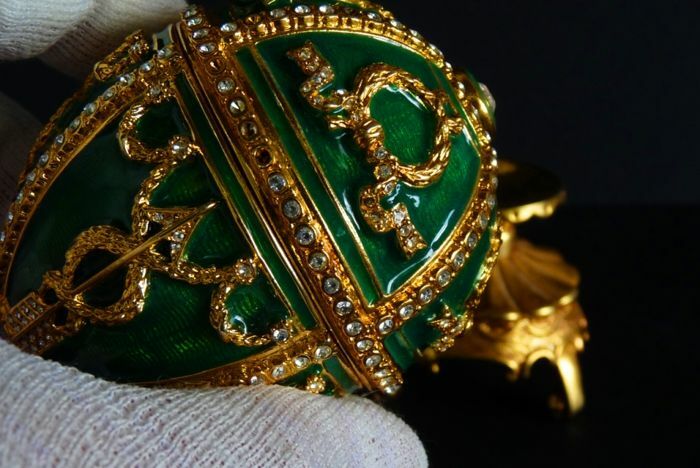 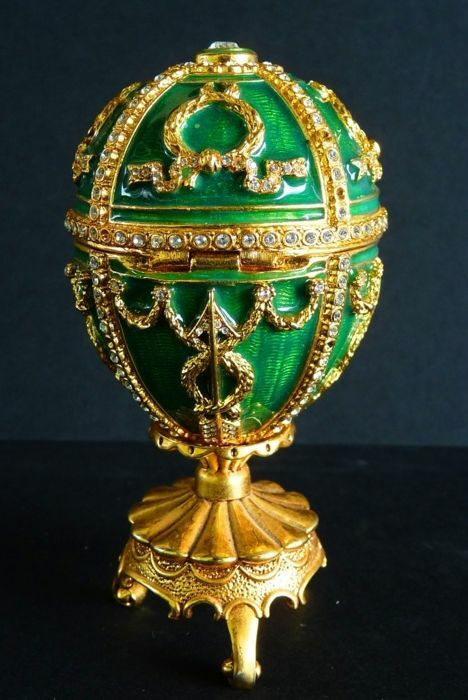 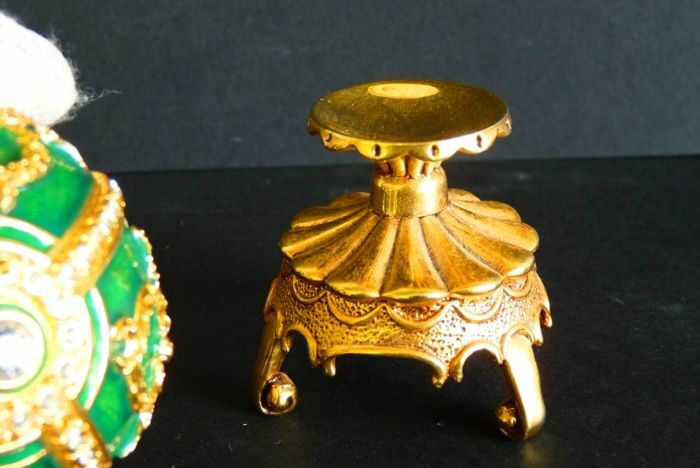 Genuine Faberge Imperial egg - ‘Rosebud’ collection - Swarovski Rhinestones (over 200) - Enamel - 24 k gold finish - Signed. 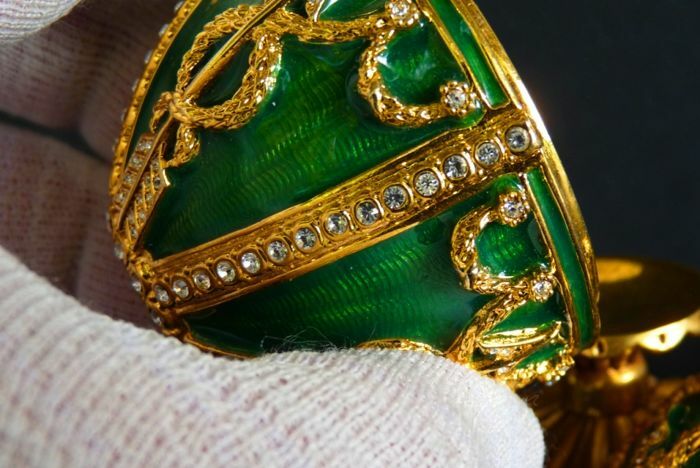 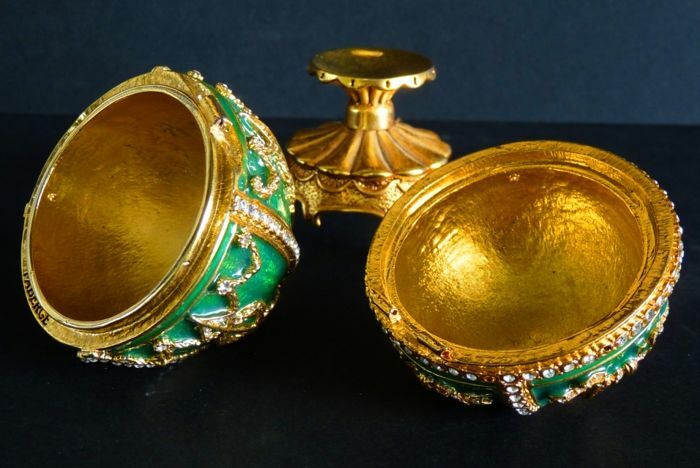 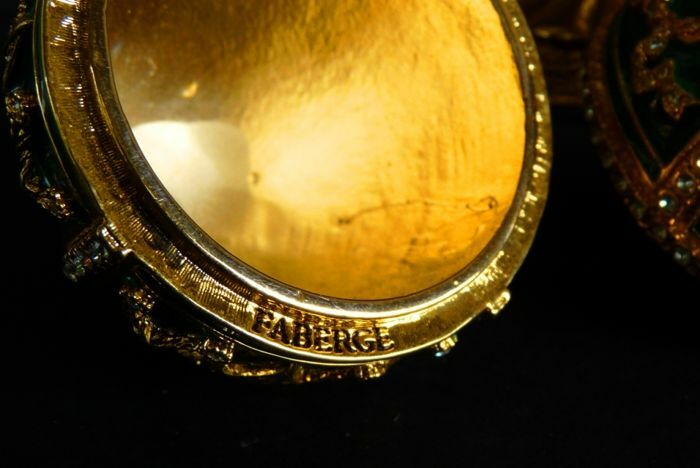 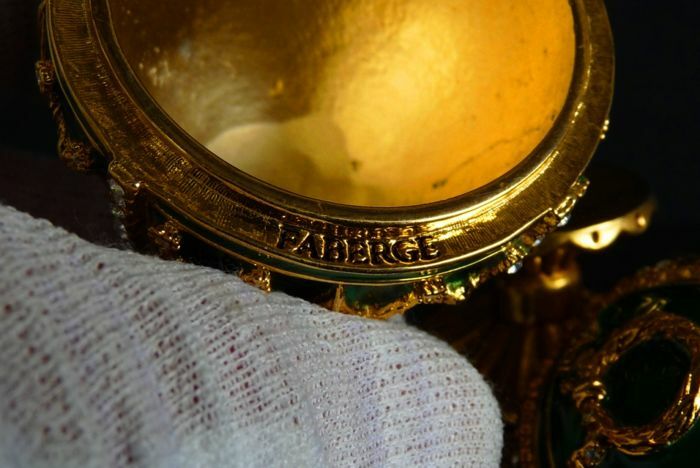 Collection created with the agreement of Karl Fabergé’s granddaughter, Tatiana Fabergé. 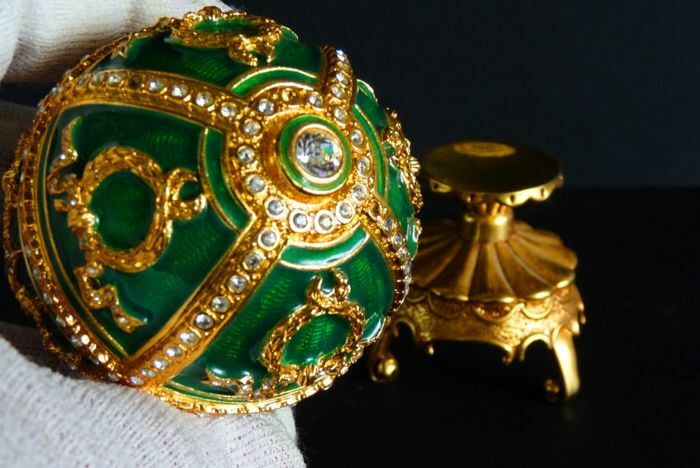 Exclusively sold in the USA in 1989. 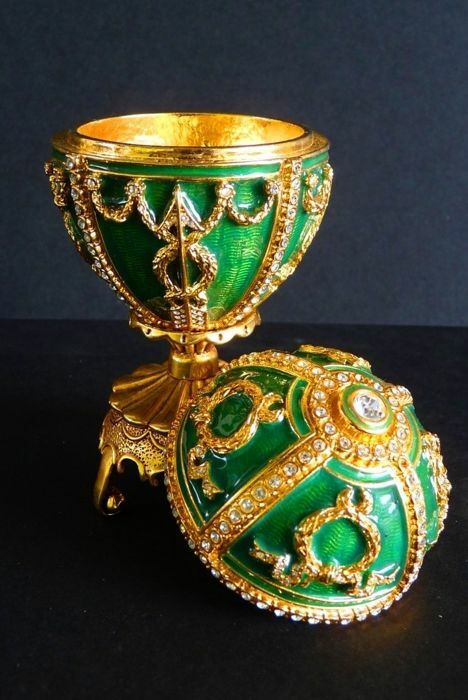 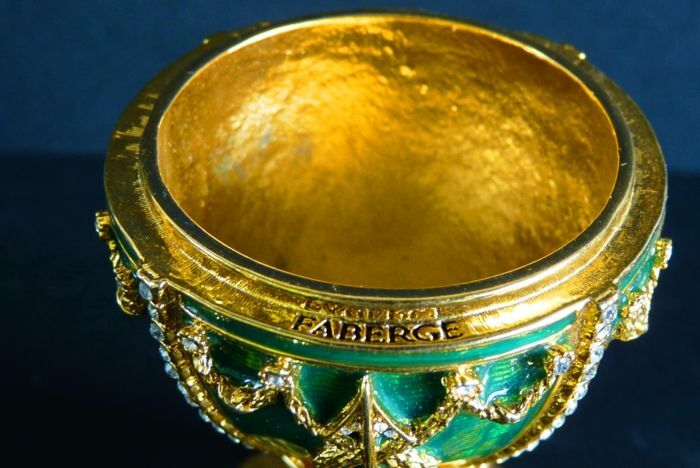 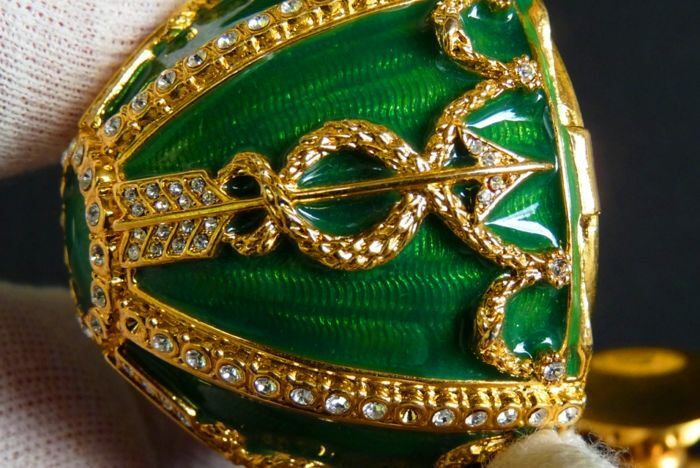 It is made of enamel and signed FABERGÉ, 24k gold plated and with over 200 Swarovski rhinestones. 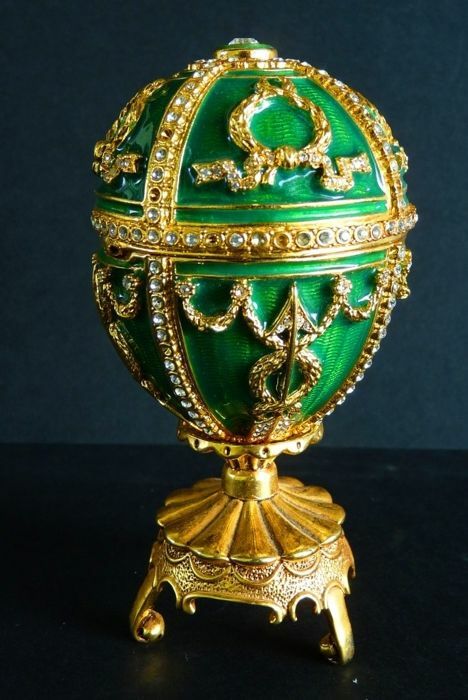 Condition: Fair (but a few rhinestones are missing)!!!! 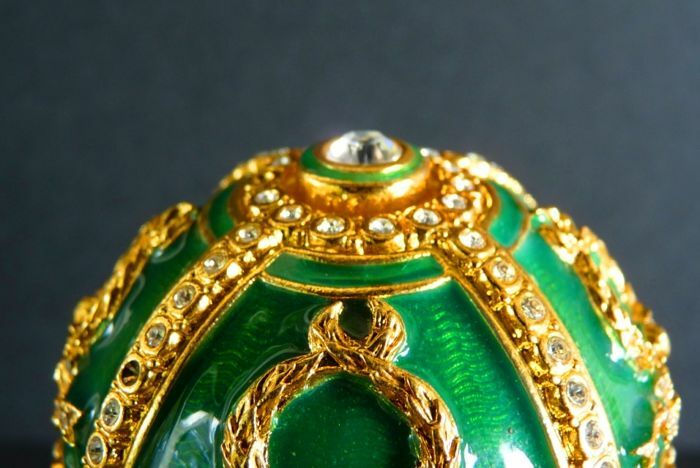 Please look at all the picture to get a good idea of the exact condition of the object. 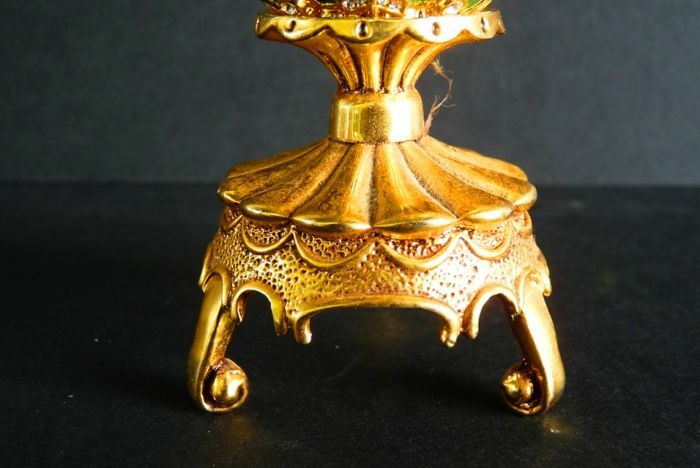 You are buying the item in the condition shown in the photos. 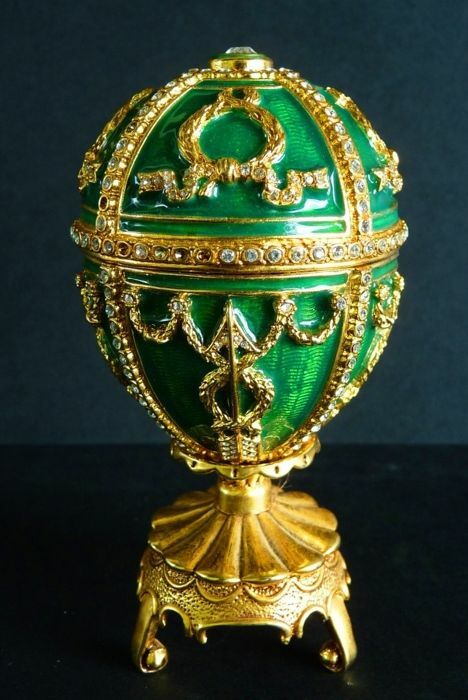 The weight of the egg is approximately 250 g.
Shipped by registered and insured mail. 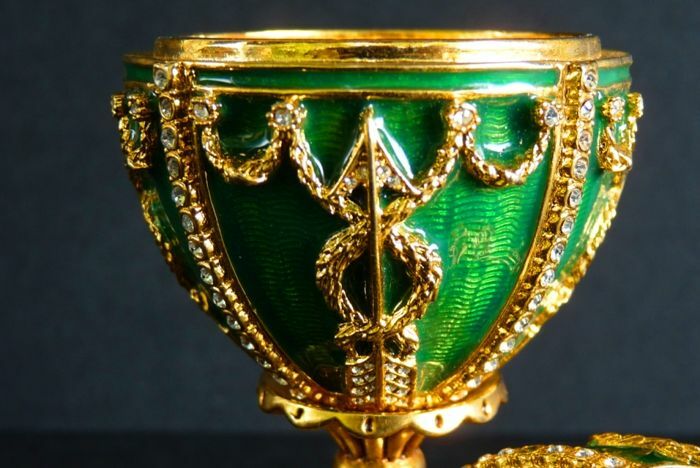 Możesz odebrać ten towar u sprzedawcy: MONTELIMAR (Rhône Alpes), Francja.